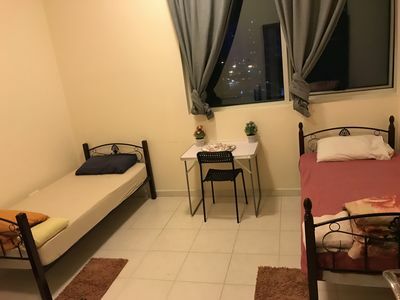 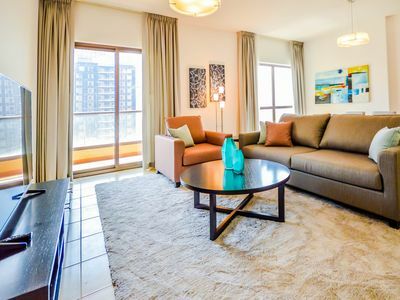 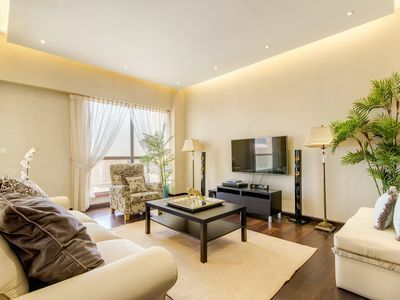 This fully furnished apartment features a huge living and dining room area, a large bedroom and a fully-equipped kitchen. 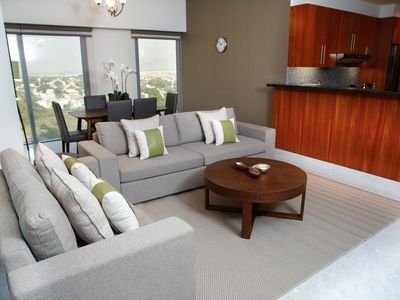 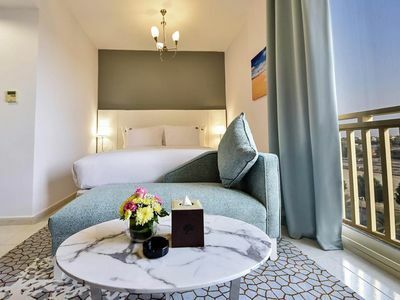 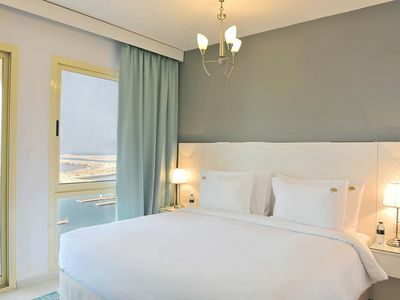 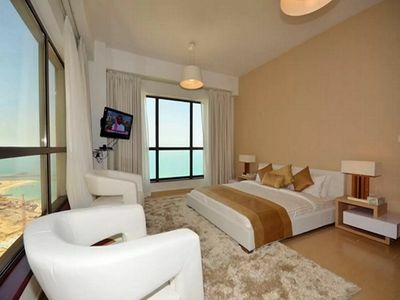 Guests benefit from its balcony with great view of the sea and the JBR community. 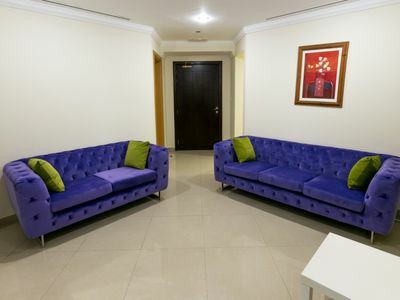 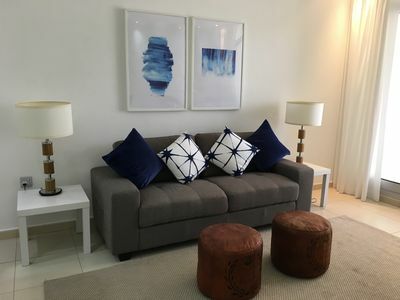 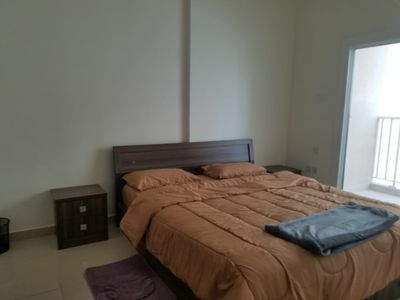 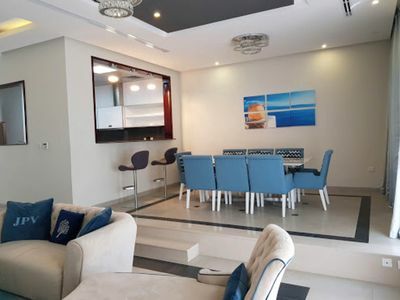 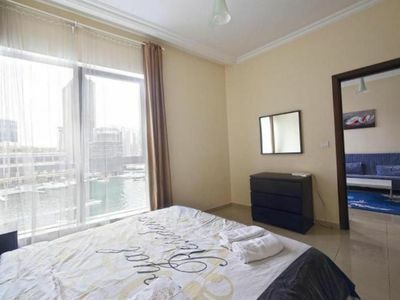 The apartment has an amazing location in Dubai Marina and on the beachfront. 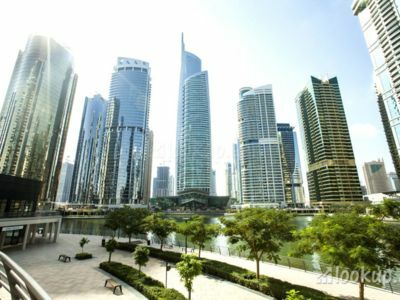 The Walk at JBR is the most popular public beach in Dubai, offering a wide selection of shops, restaurants, bars and cinemas all on the beach front. 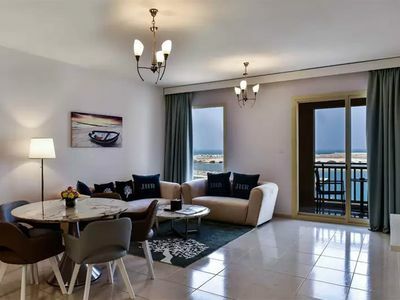 The beach itself features beach lounges, watersports and a range of activities for Children. 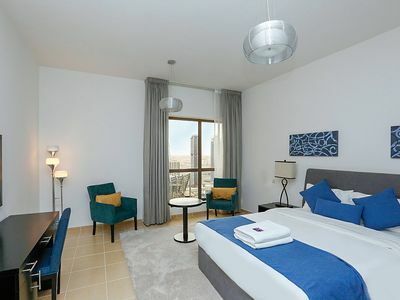 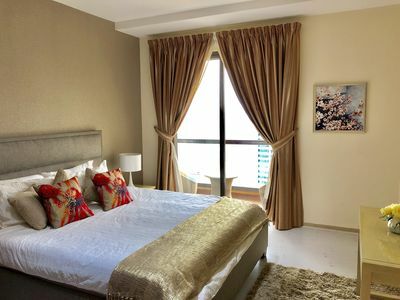 The apartment is also located in close proximity to some of the most popular features of Dubai Marina, including the Dubai Marina Mall. 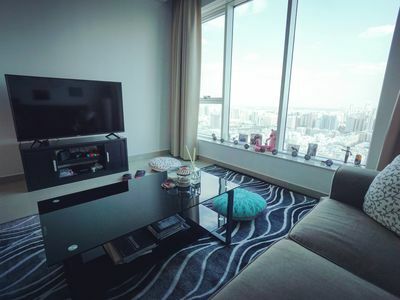 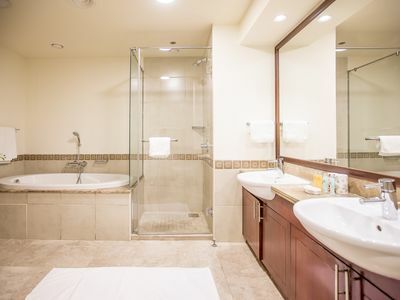 A superbing studio apartment to relax in and enjoy its amenities.